We provide children and their family rapid access to a specialized service as near as possible to their place of residence, either at home, at daycare, at school, in a centre or at a summer camp. The location of the service depends on the analysis of the child and family needs, and the family resources, as well as resources available in that geographic region. Looking for help to pay for treatment or therapy? We invite you to make a request to the Presidents Choice Children’s Charity. For more information, click here. Other financing options may also be possible, based on the analysis of your child and family needs and resources. Treatment service fees follow market standards, ranging from about $60 to $130 per hour, not including travel costs, if any. Fees depend for instance on the number of years of professional experience, educational level, expertise in pediatrics, as well as other factors such as the type of service offered. 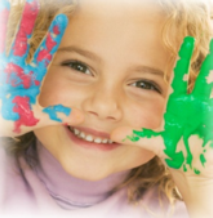 Treatment is not always the first part of the child and family personalized pediatric program. Sometimes, the first line of contact is, for example, with an educational program or a financial resource. The choice is made by each family, in collaboration with the Buds in Bloom© clinical coordination team, according to needs and resources of each child and family. By opening a file at Buds in Bloom©, the Clinical Coordination team is able to guide you to appropriate help resources, while your child waits for specialized services in the public sector. Each family has different help needs. Following receipt of the two completed application forms, to open a file, we can determine your eligibility for our services and, when eligible, design and provide rapid access to a personalized pediatric program. For a great start in getting rapid access to a specialized service, register your child today. Once the preliminary steps are complete, the child and parents are referred to one or more of our network partners providing a specialized service. Thus, before the family is referred, the personalized pediatric program is designed, block by block, in collaboration with the family. First, a member of the Clinical Coordination team of Buds in Bloom©, a person skilled in childhood matters, analyzes the two application forms to determine the needs and resources of the child and family. Then the Clinical Coordinator designs a personalized pediatric program to contain one or more of the following components: treatment, financial support, social-emotional support, educational workshop, etc. The components are selected based on the needs and resources of the family, and the availability of resources within the geographic region of the family. Next, parents meet with the Clinical Coordinator no later than two months after the opening of the file. During this Clinical Coordination Meeting, the Clinical Coordinator presents to the parents the designed personalized pediatric program, to obtain their agreement, and determine, when necessary, the order in which the family will be referred to each of the recommended resources. The Clinical Coordinator also considers the importance of the family balancing time, finances and beliefs about specialized services for their child. another service such as a workshop or course for the family. The fee for service follows market standards. Buds in Bloom© offers orientation and referral services to community resources that can meet child and family needs. The personalized pediatric program is individually designed, and can consist of a range of specialized services for children, their parents and the family. Summer day camp staff, club staff or group program staff, may receive Tailored Staff Training when one or more of their campers face challenges in participation, safety, integration or enjoyment. We get requests from directors of camps, clubs and group programs, when children registered in a group program face these challenges. Directors of camps, clubs and group programs, as well as parents, can make a request for help with one child or several children for Tailored Staff Training. The request must be made no later than January 15 for summer camps starting in June or no later than six months prior to the start date of the club or group program. Tailored Staff Training supports all levels of management from directors, councilors, companions, paraprofessionals and other support personnel. The early bird catches the worm! Make a request early, then we can start as soon as four months before the program begins. Our promise is to refer the child and family to at least one specialized service. The first reference is a result of the Clinical Coordination Meeting between the parents and the Buds in Bloom© Clinical Coordinator. Other references may follow, one at a time, as appropriate. In some cases a fee may be assessed for additional references. Please inquire during your Clinical Coordination Meeting. The end of the program is determined by the parents with the Clinical Coordinator, and lasts a maximum of three months. If an extension is requested by the parents, an additional fee may be assessed. The family, may at any time, withdraw from any part of the program. If this is the case, we would appreciate you contacting us in order to complete a short questionnaire explaining the reason for your decision. We strive to partner with parents to give each family the chance to bloom today. A follow-up by Buds in Bloom© may be made some time after the beginning of the personalized pediatric program, to evaluate your appreciation of the care your child and family is receiving from our Team, and from providers we refer families to. Your opinion is important to the continued improvement of our commitment to high quality services.